What gets hot HAS to cool down, doesn’t it ? David is not as hot as Lancaster, California or Manhattan, KS but at 97F it sure isn’t COOL! Since we don’t have AC I’ve been taking 2-4 showers a day and that did the trick. Even at 97 it was so dry that I wasn’t sweating, just felt like the oven door had been left open. All that changed yesterday…. 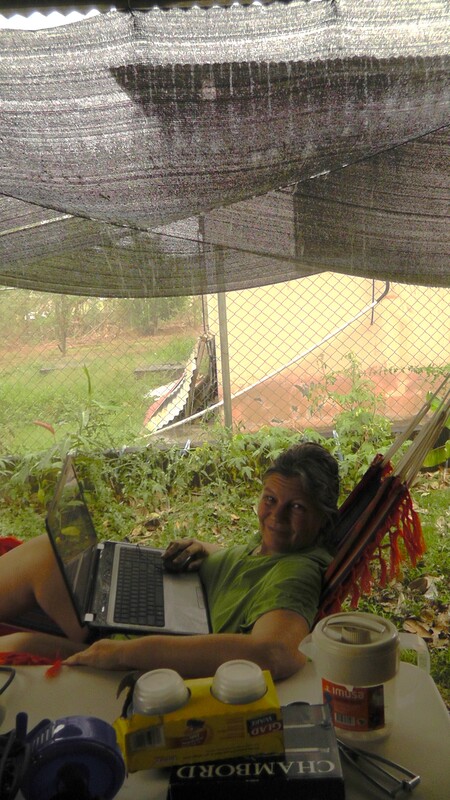 Kris trying out the “computer in a hammock on a rainy day” concept. 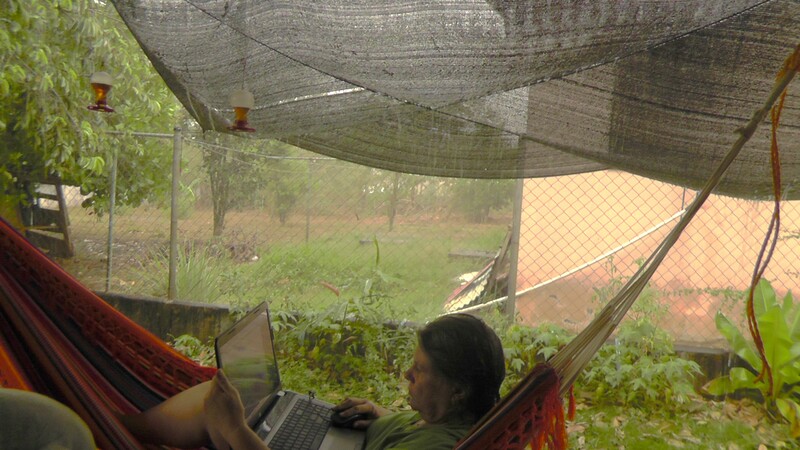 Coming from freezing Portland, Maine to cooking David, Panama the extreme climate change took the wind out of my sails last week but then came….THE RAIN! 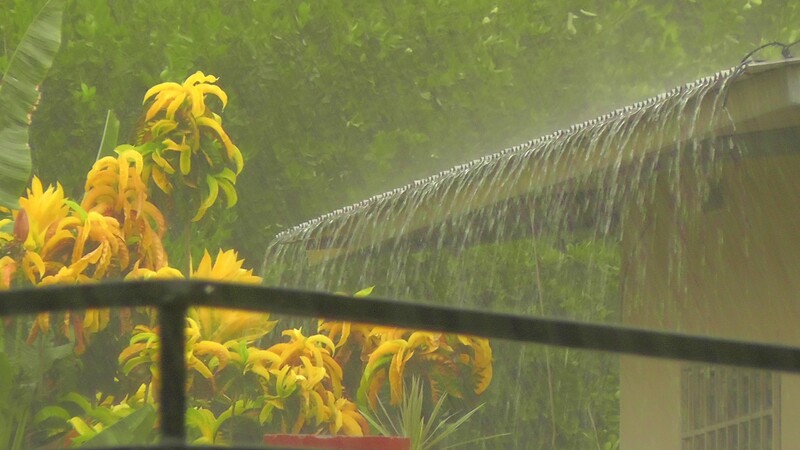 Thunder, lightning and lots of cooling rain. 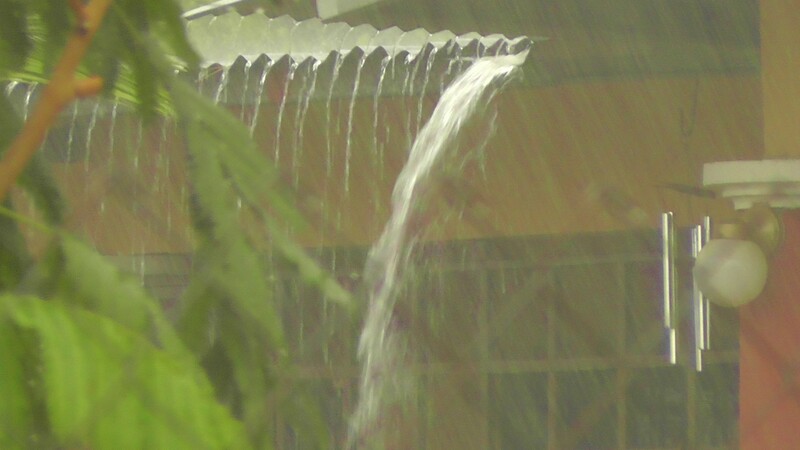 They say the rainy season starts on April 15 but if it wants to come early, let it come.